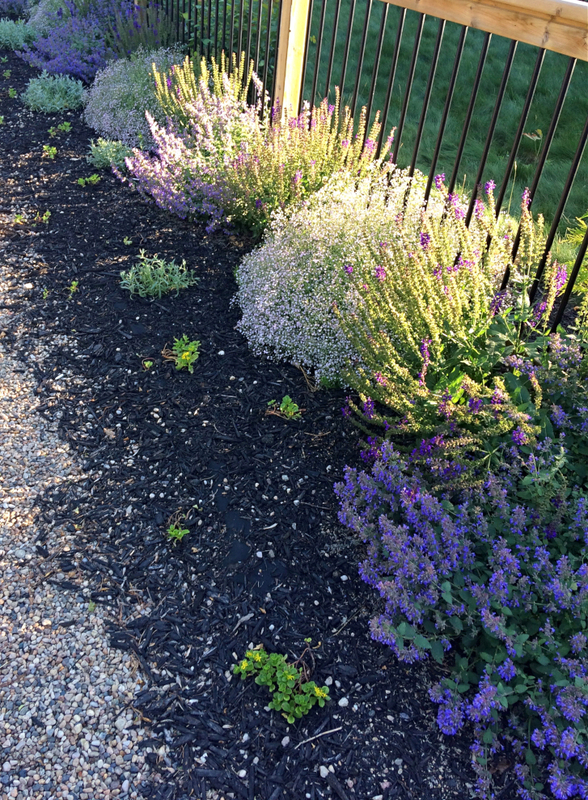 Designing your first flower bed can be a daunting process. You probably know where you want it, but how big should it be? What should you plant in it that won’t die? How can you keep everything as low maintenance as possible so you don’t have to spend the whole summer weeding? And how much is this thing going to cost? 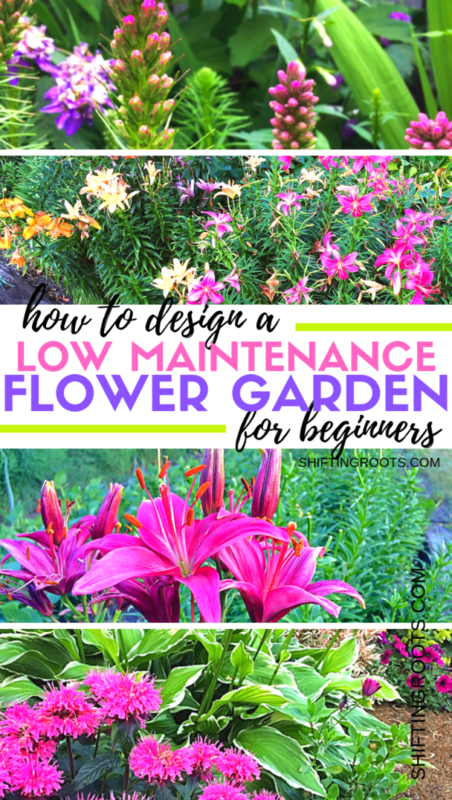 I’m going to walk you through the process of selecting a location for your flower bed, preparing the soil, picking plants, and finishing it off so it’s as low maintenance as possible. A few disclaimers before we start–I garden in zone 3b in the Canadian Prairies, so my flower selections are going to reflect that. My choices should work well in zones 2-8, but there may be other flowers that would work better or are more common in your area. It’s also impossible for someone on the internet to know exactly how much light your yard gets or the exact number of plants you should buy for your particular space. While I do my best to give you advice that should work, use your common sense. 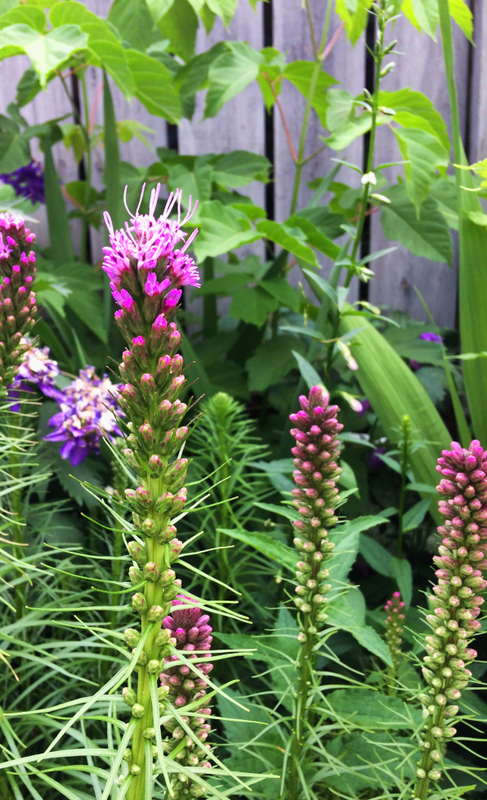 There’s no shame in having to buy an extra perennial or two after the fact, or moving a plant somewhere else next year because it didn’t work the way you thought it would. Now that we got that out of the way, let’s get planning! There’s not too many rules when it comes to where a flower bed will do best. You’ll have more plants to choose from if you choose a sunnier spot, but basically you can find perennial flowers for both shady and sunny situations. Wherever you choose to put your flower bed, you’ll want to make sure your soil has a fresh layer of compost and manure to give your new plants the best possible start. Is the soil acidic, basic, or neutral? You can easily test with a home soil test kit to find out. 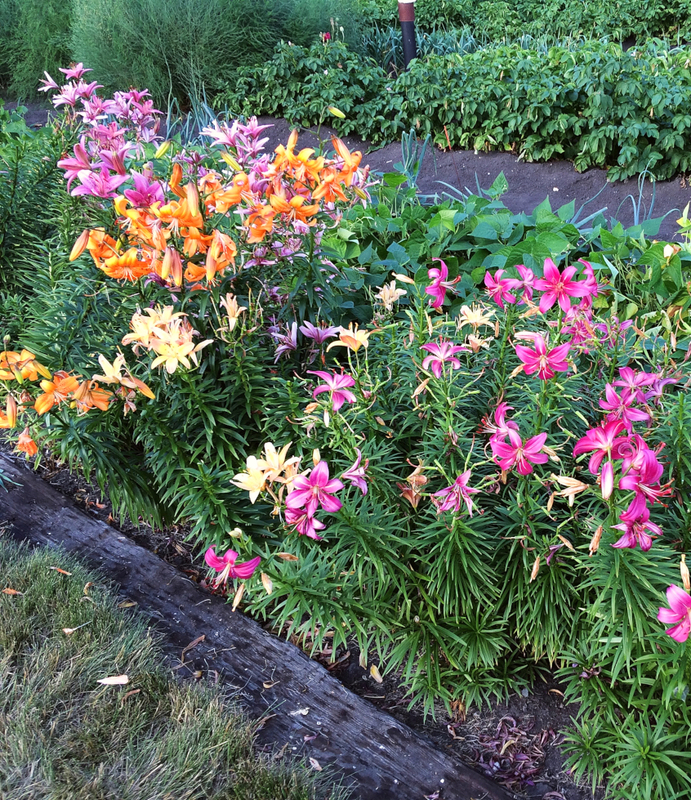 If your flower bed is planned for underneath a coniferous tree, you can guarantee the soil is acidic. How much moisture does the area get? Some spots in your yard will be dryer than others. Have I picked an area with any special considerations, like intense heat or lots of wind? For example, tall flowers like delphiniums would need staking if the flower bed in question had no protection from harsh winds. Designing a flower bed doesn’t have to be an impossible task. It’s kind of like composing a group photo. Tall people in the back, short people in the front. Lines will work, but it looks more natural if everyone is in clumps. Finally, make sure that the colours of everyone’s clothes don’t clash. In terms of flowers, this means that the taller ones go in the back, bushy ones in the middle, and shorter ones and ground cover at the front. Arrange your flowers in clumps instead of lines. However, there can be clumps within the lines–it’s just single lines of flowers that look a bit ridiculous. But in the end it’s your flower bed, do what you like. 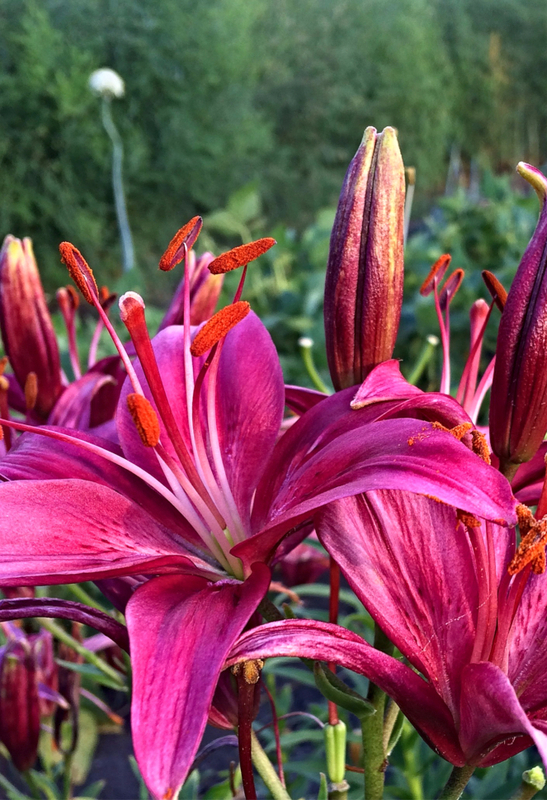 Finally, be aware of the colours of all your flowers–or not. I’m one of those impulsive people who plants whatever I want regardless of the colour. I just want to try as many things as possible. If I wasn’t constantly experimenting, I would pick three colours for my flowerbed and try to generally stick to that colour scheme for a more cohesive look. Beginner gardeners often make a flower bed with high hopes in the spring, then are crushed to discover by summer that everything is a weedy-mess-struggle-garden. Save yourself a ton of work and surround your perennials with a healthy amount of mulch. Yes, it’s more work and it costs extra money, but it’s so worth it to be able to actually enjoy your summer and your flowers, instead of spending it weeding or feeling guilty about not weeding. Click here for everything you need to know about mulch. Beginner gardeners are also disappointed to discover that it takes a lot more flowers to fill up a space than they bargained for. While you’re waiting for those perennial flowers to fill out, add in some annual flowers for season-long colour. Here’s 22 picks for shady spots. I haven’t written about sunny spots because, let’s face it, if you planted in a sunny location the world is pretty much your oyster. There’s profound wisdom in this statement. 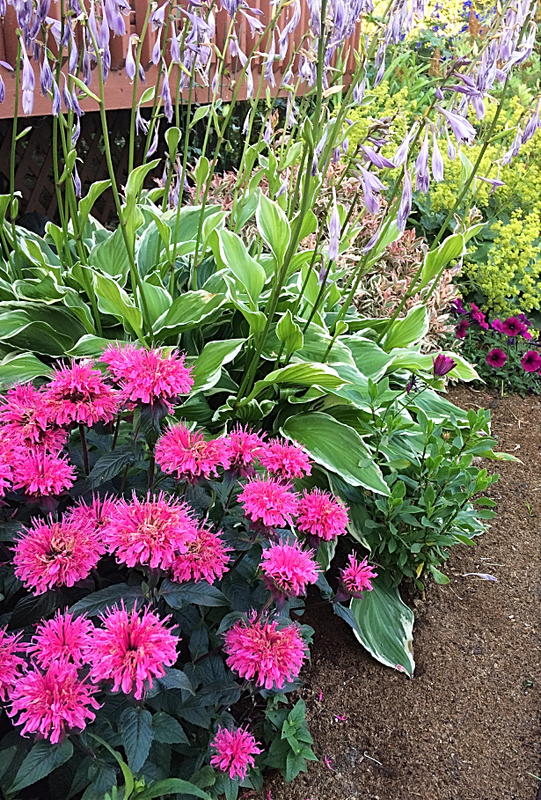 Your flower bed is likely not going to look the way you imagined it in its first year of growing–especially if you used smaller perennial plants. In fact, it won’t look much better in year two. In the third year, your perennials should get to a more mature size, and your flower bed will start to look the way you envisioned. By year five, those perennials will likely have started to multiply, creating a lovely, full flower bed. Want more Flower Bed Ideas and Hold-Your-Hand Beginner Gardening Advice? The Growing Roots Online Gardening Course was written with you in mind! It contains eight chapters full of gardening know-how to get you growing in your garden with confidence. Because not everyone has a seasoned gardener friend to help them plan and grow their garden. 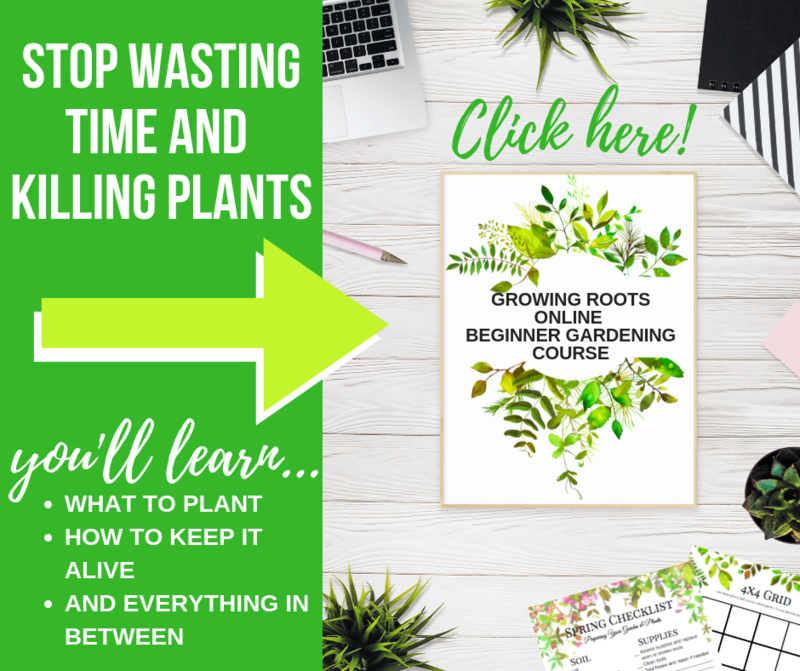 This course is your virtual-hand-hold through everything you need to know to plant, grow, and harvest your first garden. Even if you kill everything you touch. Even if you think you don’t have enough time. Even if you’ve tried and failed before. It’s the basic gardening advice you need, all in one place. Are you planning a flower bed this year? Tell me about it in the comments!